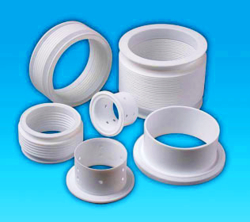 We are one of the prominent manufacturers and suppliers of an extensive range of Peek PTFE Product. This is manufactured using finest grade raw material in desired dimensions and makes. We test the entire range on well defined quality parameters to ensure flawlessness. This range includes products like Peek PTFE Rod, Peek PTFE Rings and Peek PTFE Sheets at its best. We offer the following products. Our clients can avail an excellent range of Peek PTFE Strip from us. This range is designed in tandem with set industry standards. Our varied clients can avail this range at market leading prices with us. This range is tested on well-defined parameters of quality and performance. We are manufacturers and suppliers offering an exclusive range of PTFE Bellows in customized as well as in standard sizes and dimensions. The range we offer includes of Line Bellows, Expansion Bellows, Valve Bellows, Special Bellows and Composite Bellows as demanded by the client. In addition we cater to all demands of PTFE Grades ranging from NB - 1/2" To 24" in diameter. Its standard length is 67.5 mm which is also customized as per customer requirement. 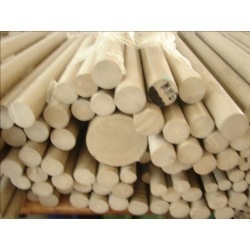 NB - 1/2" To 24"
Our clients can avail an excellent range of Peek PTFE Rod from us. This range is designed in tandem with set industry standards. Offered in 1500 mm Dia. 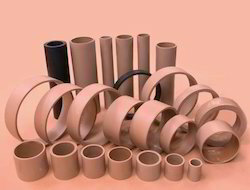 in all PTFE specific size and thickness, this range is also customized according to the demands of the clients. Our varied clients can avail this range at market leading prices with us. It finds wide applications in different industries for critical applications. We hold instrumental expertise in providing our clients with an extensive range of Peek PTFE Rings. This range is designed in parallel to leading parameters of quality and performance. Offered in standard 1500 mm diameter and in customized makes per customer specification and drawing, this range is tested for quality and performance all around the nation. We offer this range at market leading prices.